How do you choose the right flowers for summer? 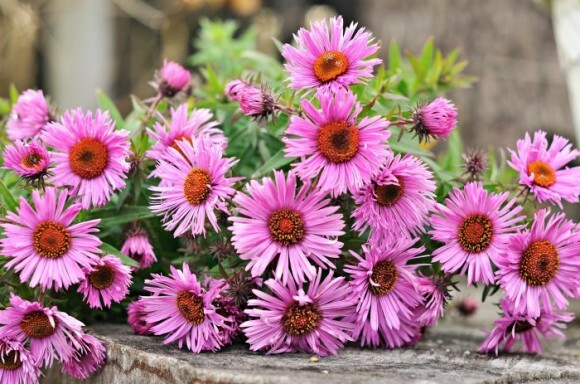 You opt for any of the following beautiful blooms. The aster looks a bit like a wildflower and a little like a sunshine. It’s a perfect flower to keep in a summer garden or to give in a seasonal bouquet. And, it’s an exquisite and cheerful addition to a home – either kept in a kitchen or a living room. The aster can be casual or formal, depending on the vehicle it’s in and the flowers that surround it. It’s September’s birth flower and it’s sometimes given for 20th-year wedding anniversaries. Carnations are lovely flowers to have around during summertime. Florists use these blossoms as go-to stunners in wedding floral arrangements and boutonnieres, and they’re often given for birthdays. Carnations come in shades of white, pink, red, purple, green, and more hues. They’re long lasting and they’re easily revitalized after extensive car (or flower truck) rides. Freesia is a member of the Iris family. It’s often considered one of the most fragrant flowers on earth, and it’s frequently grown for ornamental and practical purposes. Some freesia have a stronger scent than others, but all of them offer a delightful aroma that’s perfect for a garden or floral arrangement. Freesia is a bulb flower that comes in many colors and in many variations. Local florists usually have all of these flowers in stock. Sometimes, you’ll find these flowers’ seeds or bulbs in nurseries or in home improvement stores. You can always purchase them online, through a local or national web-based florist.